Mastercard has acquired Vyze, a technology platform for point-of-sale payment options, designed to provide flexibility and convenience through financing options. 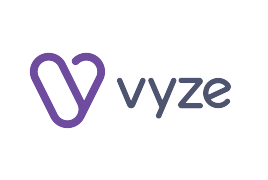 Vyze connects merchants with multiple lenders, allowing them to offer their customers a wide range of credit options online and in-store. Vyze’s financing approval rates are up to 90%, the firm says. Several top US retailers work with Vyze for special financing options. Mastercard aims to bring the same functionality to customers in additional markets. Mastercard’s new Pay by Bank (PbBa) feature is also enjoying the spotlight, as The ai Corporation has added it as an additional payment option on ai Gateway, the firm’s omnichannel payment gateway, which is currently used by over 40,000 global merchants. ai’s payment gateway with integrated fraud prevention will make PbBa available to all merchants and end users, alongside all existing major card schemes, including: Visa, Amex, Masterpass, Mastercard Instalments and Apple Pay. PbBa, which was created by Vocalink, a Mastercard company, simply uses the information that the consumer has safely stored in their banking app to process payments, removing the need for a separate PIN, password or card number. Verification is handled by the user’s own, trusted banking app, which meets PSD2 standards and requirements for Strong Customer Authentication (SCA). Mastercard and ai Corporation have been in a strategic partnership since 2015.